Imagine if your children’s drawings came to life. Monsters with bulging eyes and sharp fangs, unicorns with huge heads and tiny bodies. With this inspiration, Canadian artist Wendy Tsao (OK) started Child’s Own Studio – a place children can only dream of. Cooler than any toy shop, Child’s Own Studio is where children’s imaginations take shape. The super talented Wendy has custom-made hundreds of personal soft toys based on children’s drawings. Each project is documented on Flickr, so it’s possible to see each 2D creation become wonderfully 3D. 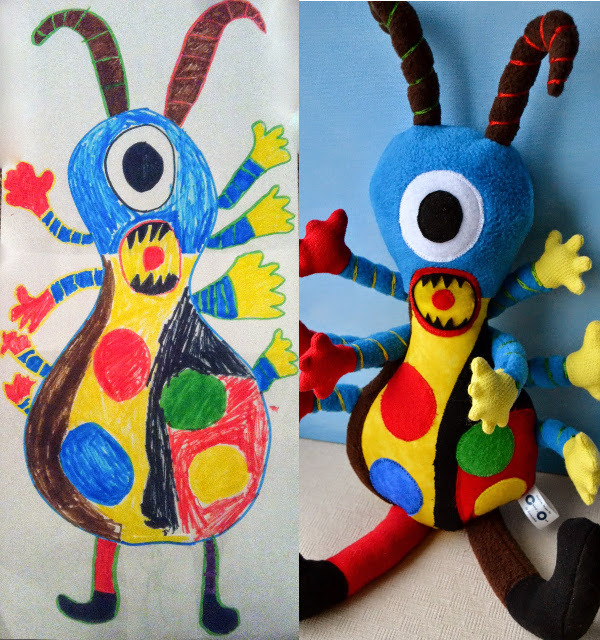 It all began in 2007 when Wendy made her first soft toy based on her four-year-old son’s self-portrait. 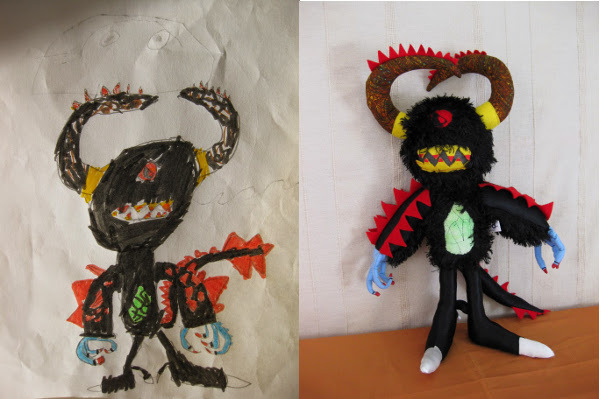 Since then she has made more than 600 toys based on children’s drawings from all around the world. Wendy’s innovative twist on toy-making has received much-deserved attention across social and traditional media. Her Facebook page has more than 200,000 likes. So considering she is a one-woman business, Wendy is understandably flat-out. So busy, in fact, she opened a waiting list on June 28 (2014) and accepted just the first 100 requests. Personalisation of your child’s artwork by Child’s Own Studio costs $250. The studio ships to Australia and supplies quotes on shipping prices. 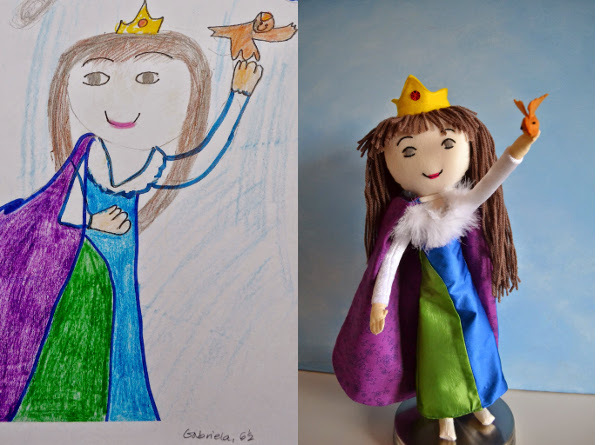 If you’d like to have your child’s sketch made into a toy, you can sign up on the site to find out when a new wait list is due to open. And when it does, we recommend you get in quick!